I get several questions a month about prescription drug disposal. For safety purposes, it’s very important to eliminate old prescriptions and unused drugs from your home, but you should do so in a responsible manner. According to the EPA, you should not “flush expired or unwanted prescription and over-the-counter drugs down the toilet or drain unless the label or accompanying patient information specifically instructs you to do so.” As a first-choice, the EPA recommends bringing your no longer used and/or expired drug products to a take-back program, generally offered by your local police or fire department. 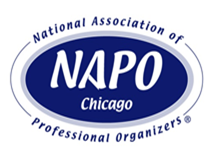 For locations in Illinois, we recommend that you go to the Illinois EPA site and search for a drop-off location near you. Simply enter your zip code and the miles you are willing to travel. It’s a good idea to call the facility in advance just to make sure of what they accept, and to find out their hours for drop-off. According to The Watershed Council in Northern Michigan, wastewater treatment plants are not designed to treat all the substances contained in medications. Although treatment plants are currently equipped to remove chemicals, foreign materials, and microorganisms from the water prior to ejecting it into streams and lakes, active drug compounds from humans are not eliminated from the water in the treatment process. Treatment systems permit up to 93% of highly concentrated active drug compounds to leave a treatment plant. Therefore, most of these chemicals pass through the treatment facilities and accumulate in river, lakes, ground water, as well as aquatic organisms. A 2008 Associated Press five-month investigation concluded that a vast array of pharmaceutical products have been found in drinking water supplies of at least 41 million Americans. At current levels, pharmaceutical residues are unlikely to pose an immediate risk to human health, but the long-term consequences of individual chemicals, and combinations of chemicals, are unknown, especially as concentrations rise. But dumping them in the trash without special measures also presents problems. Children or pets might accidentally find and get into them. Teenagers and/or adults who abuse prescription drugs also have easy access. Unwanted drugs are still chemically active when they are thrown in the trash, even if mixed with kitty litter or coffee grounds. Several studies have shown that medicines in a landfill can be released to the local environment through the landfill liquid – or “garbage juice” – that may be collected and sent to wastewater treatment plants. In addition, they might leach out into the soil and contaminate groundwater. According to The Watershed Council, properly getting rid of unused medicines reduces the risk that prescription and over-the-counter medicines will be mishandled and end up on the street. 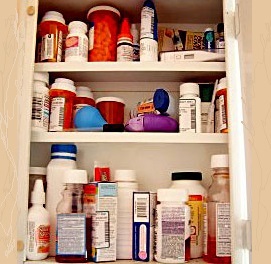 Keeping medicines around the home can lead to possible poisoning from accidental ingestion, particularly among young children and pets, or illegal use or theft. When unused or expired drugs sit in the medicine cabinet, they become too easily available and appealing to potential drug abusers, especially young adults and youth. Based on a National Survey on Drug Use and Health, persons between the ages of 12 and 17 abuse prescription drugs more than cocaine, heroin, and methamphetamine combined; and prescription drug abuse is second only to marijuana use. 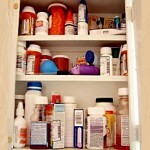 Additionally, medications left unattended can have tragic accidental consequences. Each year in the U.S., over 71,000 children 18 and younger are seen in emergency rooms for unintentional overdoses of prescription and over-the-counter drugs. Feel free to contact us about prescription and over-the-counter drug disposal in your area. We can also address questions concerning the disposal of ‘sharps’ – medications that require injection with a needle or syringe. There are some locations in the area that will accept these types of medications as well. medicine disposal, prescription drug disposal.